$125 per person per night (including 3 meals), minimum of 10 people. $2,860 per night including all meals, up to 22 people. $125 per person per night, minimum of 10 people. Every group is our only guest and is welcomed to our home and our farm with great attention and intention. This means you are the only group staying with us and have exclusive use of our facilities and the full attention of our staff. We meet and welcome every group, help you get settled into the Refuge, and orient you to the significant history of the farm and the glorious and inspiring place you are staying. We offer many other ways to connect your group to this land. Our team is present on the farm 24 hours a day. Overnight accommodations at the Refuge at Knoll Farm are single, double and family sized yurts. We can accommodate up to 22 people. Six of our yurts are private, with one double bed. Four yurts are shared, with two double beds, and our family-sized yurts have four single beds. Beds have pillows, sheets and blankets; we recommend you bring a sleeping bag for the spring and fall, as nights can be chilly. Yurts and pathways are lit at night with solar power. A nearby beautiful cob and stone bathhouse has hot showers, flush toilets and a wood-fired hot tub. The bathhouse and most of the yurts have electricity. The private yurts are more secluded and without electricity. 3 meals per day are provided with a focus on farm fresh and locally sourced food and served in our historic McLaughlin Barn, 1⁄4 mile from the overnight accommodations. Our chef is able to provide and plan meals for your group taking into account all dietary needs. Several outdoor fires are lit by staff each night for your group to enjoy. Many additional services are available to your group including curriculum design, retreat facilitation, classes in body movement, and tours of the farm. Please inquire further. The farm has an extensive trail system and is within minutes of many other first-rate recreational opportunities in the Mad River Valley. McLaughlin Barn: Our largest barn is 10,000 square feet and has 7,500 square feet of meeting and dining space. The barn has a restored wood floor for yoga and dance, many couches and chairs, a dining room, tea and coffee station, refrigerator, and a large film screen. Accommodates up to 40 people for a workshop format, up to 120 for lecture or special event. Mountain Yurt: The mountain yurt is for groups who want a very peaceful beautiful refuge in the heart of the maple forest. Ideal for meditation, group dialog, or personal retreat. It’s equipped with meditation cushions and chairs, with lots of natural light and a wood stove for cool days, and comfortably accommodates up to 25 people. Farm Stand Office: Our completely renovated carriage barn is perfect for a daylong conference, board meeting, or gathering. Our warm and carefully designed space includes a conference room that comfortably seats 12 people and is equipped with Wi-Fi, privacy, and screen. 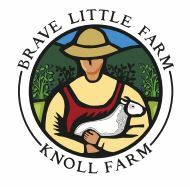 All of Knoll Farm is on the National Register of Historic Places and has many large and small inspiring buildings all set on a 160-acre working farm.